Damasko DS30 on a Natural one-piece. Just fantastic! Stowa Partitio White on a Natural Arts & Crafts. Lovely piece and perfectly paired. 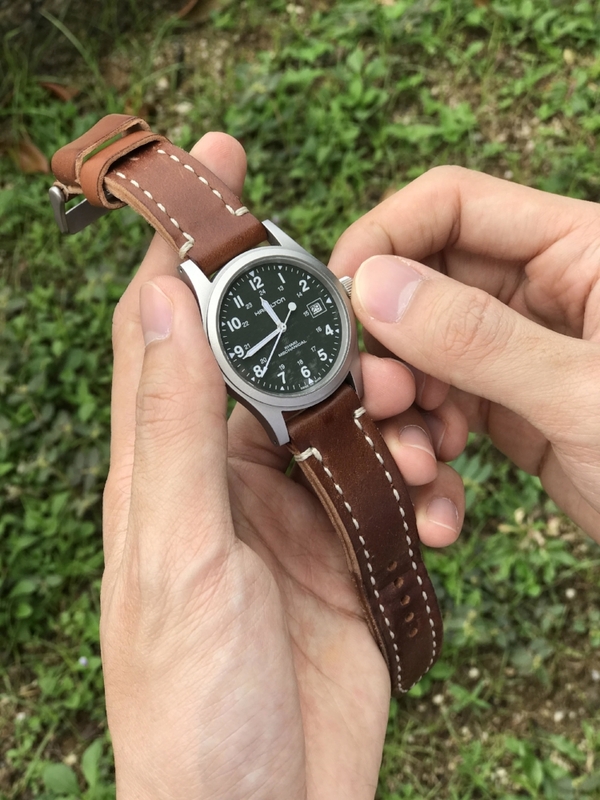 Hamilton hand-wound MIL-W re-issue on MIL strap. Note the rare destro conversion -- way to make it your own! 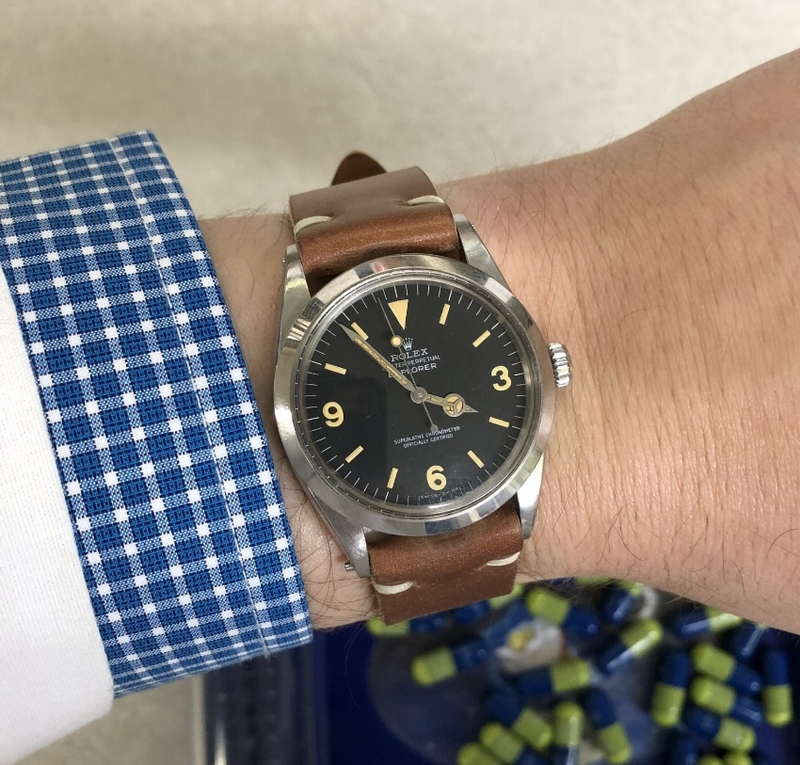 Absolutely perfect Explorer 1016 on a single-layer two-piece. This watch is also a family heirloom, making it even more special. Seamaster 2254 on a Black Arts & Crafts with steel gray stitching. This watch is an absolute classic! Seiko SARG011 on No. 8 one-piece. I love this watch (and this brewery)! 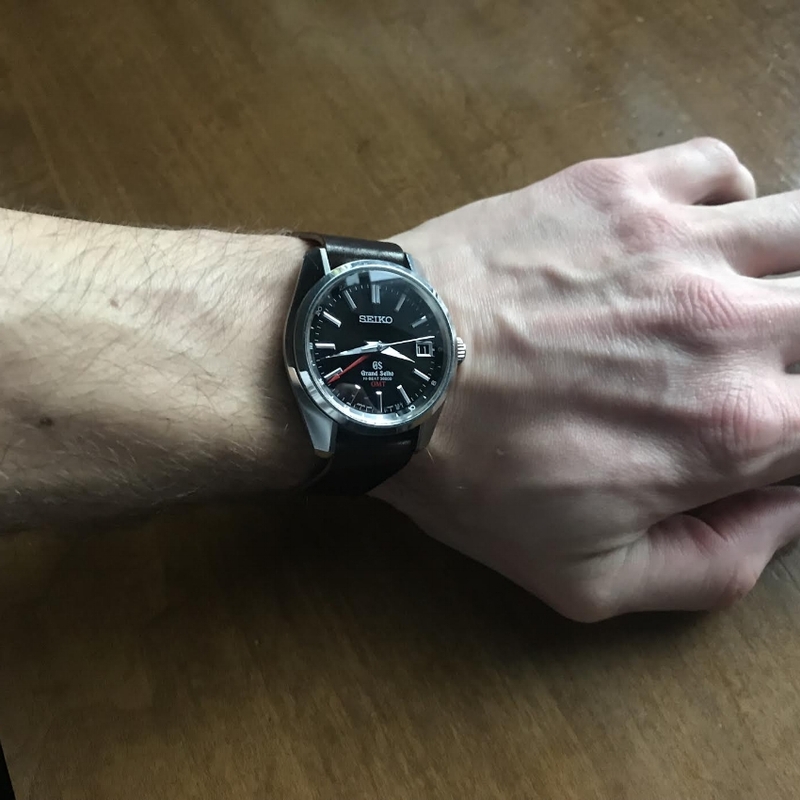 Grand Seiko GMT on No. 8 one-piece. This is elegant simplicity at its best! The Guinand A Schild Flieger on an Arts & Crafts. This watch is a new classic, and a Rover Haven favorite! A British tan Arts & Crafts on an Omega Dynamic chronograph. Just look at the crystal on that watch! Hamilton Field Mechanical on a burly Arts & Crafts in Natural! Killer Speedy CK2998 on Navy two-piece. Look at that crystal! A very special Seiko Alpinist on Natural Arts & Crafts. These watches are just fantastic. Oris Diver's Sixty-Five Blue on Natural two-piece. This watch is amazing! A spectacular trio of Grand Seikos on Arts & Crafts straps in Navy, Mahogany, and Black. Wow! Speedy Pro mod on Black/red Arts & Crafts. This just really works! 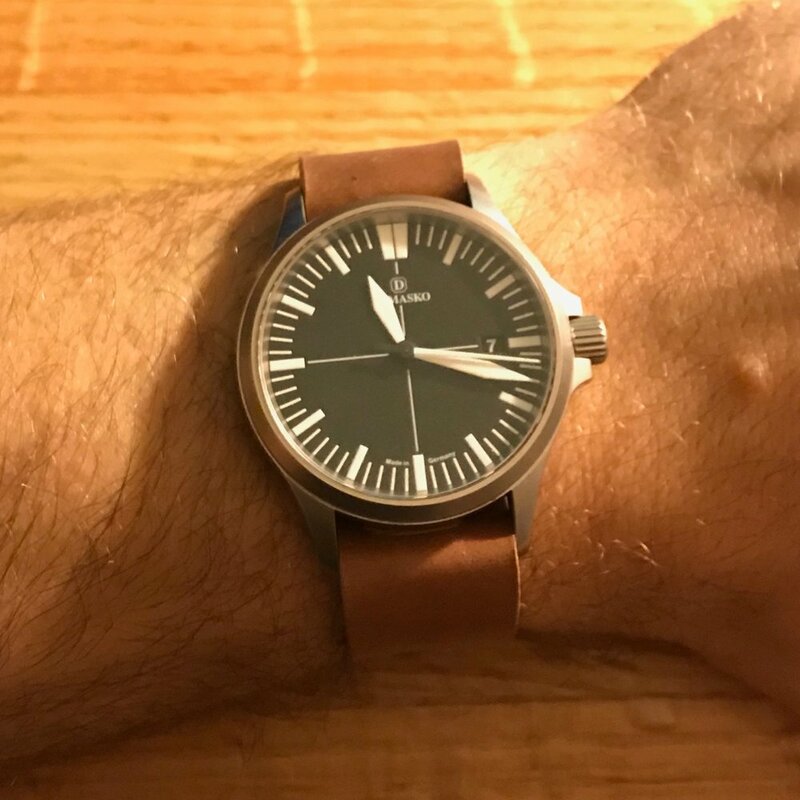 Squale 50 Atmos Diver on Cognac Arts & Crafts. Classy value. Gorgeous Gallet chronograph on Green MIL strap. This strap made two journeys between the US and Japan before it was delivered to a happy owner! Simply gorgeous Daytona ceramic on a Natural Arts & Crafts strap. Caliber 3330 Speedmaster Racing on a Dark Cognac Arts & Crafts. A rare and beautiful Speedy! Trusty and classic SKX on No. 8 one-piece. Affordable class and style! An impressive 26 mm Seiko Kinetic on Cigar shell with partial seam. An unbelievable Omega 6B on Arts & Crafts in Natural with screw rivets for fixed bars. Wow. And because I find this watch to be so beautiful, another gratuitous shot of the Omega 6B! Resco Red Circle GMT on a No 8 Arts & Crafts. Not a watch you see everyday! Gorgeous, instant-classic Omega Seamaster 300 Master Co-Axial on a Black Arts & Crafts. This watch is a Rover Haven favorite! Gorgeous Steinhart Ocean One on Green shell with gray stitching. Fantastic! Speedmaster + Cognac shell + California sunshine = Perfection.